LED Poi Kit Just $24.99! Down From $50! You are here: Home / Great Deals / Amazon Deals / LED Poi Kit Just $24.99! Down From $50! Amazon is offering this LED Poi Kit for just $24.99 down from $49.99 PLUS FREE shipping with Amazon Prime or for orders $25 and above! 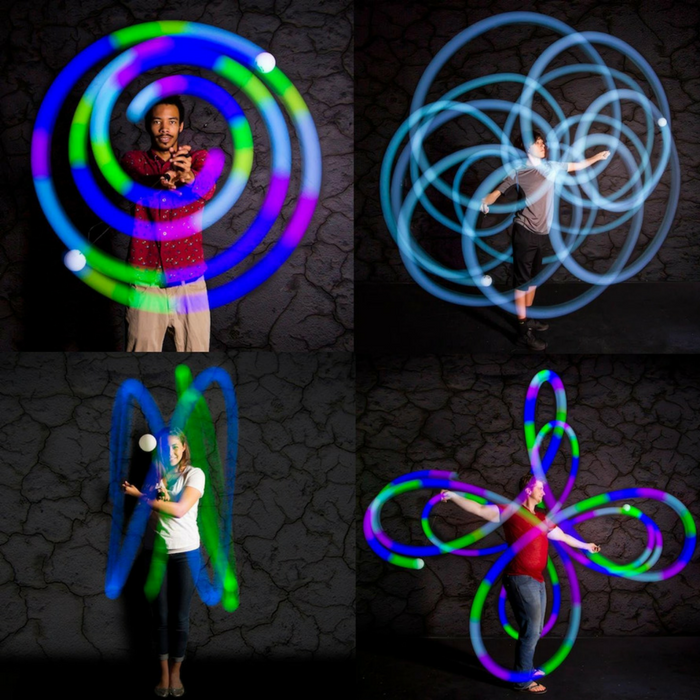 Spinballs LED Poi are serious LED Poi guaranteed. Perfect for anyone serious about learning poi. There is not a better poi at this price range guaranteed. They have maxed out what you can do with LED poi in this price range. They are soft, but take a beating so they wont break on you like the cheap stuff. They have the most modes and colors. They are the only poi in this price range to offer a professional precision swivel great for Orbital tricks. Really nice! Try it! Full spectrum of colors including white, strobe modes, fade modes, etc. High quality precision swivel. FREE Poi APP and BackPack Bag INCLUDED!! Soft Core Technology. Great for beginners to advanced. fun for all levels!! !